Mt. 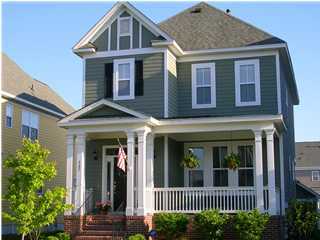 Pleasant has the most options for Charleston style homes. I'On (pictured right) is one of the most exclusive and most sought after neighborhoods in Mt. Pleasant. The builders of I'On wanted residents to feel like they were walking down a historic street in downtown Charleston. 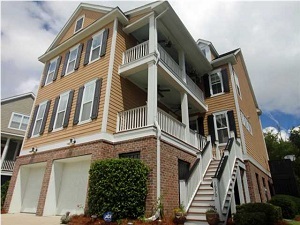 Rivertowne on the Wando has many homes that overlook the Wando River, and it's also a high-end community. More affordable options for Charleston style houses include Hamlin Plantation, Grassy Creek, and Chadbury Village. Also, The Village at Park West is a subsection of Park West that is known for its Charleston architecture. 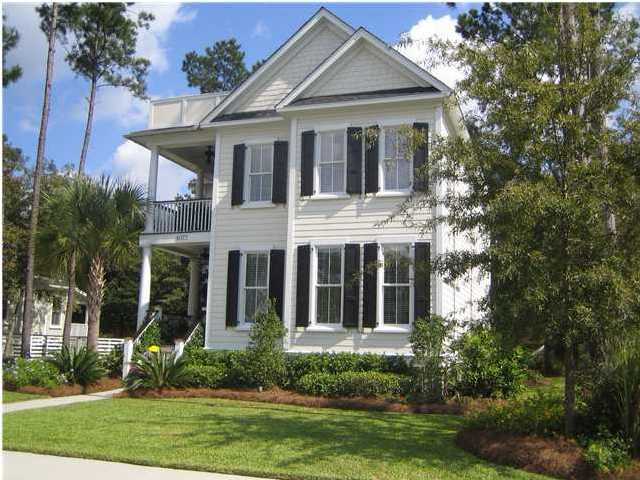 James Island has 4 Charleston style neighborhoods, which range in price from the mid $200's to the mid $400's. Lakeside Village (pictured below left), Jamestowne Village, and Westfield Place feature houses only. Eaglewood Retreat has a mix of townhouses and houses. All of these neighborhoods are pretty new, since they were all built after 2000. 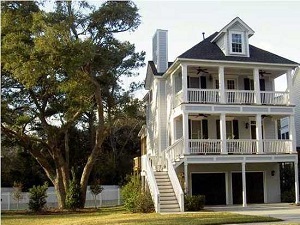 Johns Island has 3 main neighborhoods with Charleston style houses. The Villages in St. John's Woods (above right) has smaller houses, but they have great architectural details and a lot of Charleston character. It's one of our favorite neighborhoods in all of Charleston. Rushland Plantation also has well-built homes, and many of these sit on large, marshfront lots. The most affordable Johns Island neighborhood with Charleston style is Barberry Woods. In West Ashley, McLaura Bluff is a newer neighborhood that's small, so only a handful of homes come onto the market each year. Schieveling Plantation has many Charleston style houses with double front porches, but it also has traditional style houses. 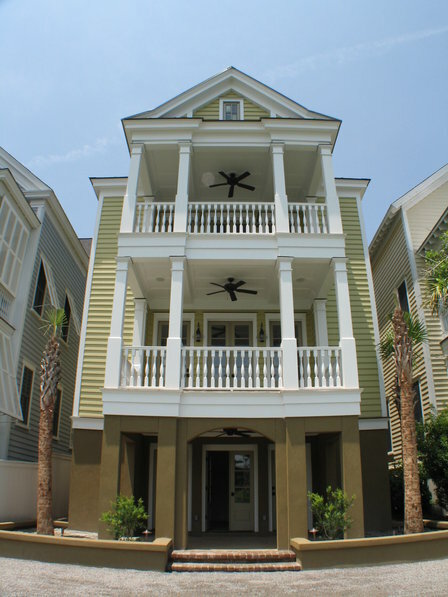 In the new construction neighborhoods of Carolina Bay (below left) and Bolton’s Landing, you’ll also find Charleston architecture mixed in with traditional designs. Summerville has White Gables (above right), which is enormously popular for its home styles ranging from classic Charleston to Victorian to craftsman. Lot sizes are smaller than average, but White Gables is the most affordable community in this list.